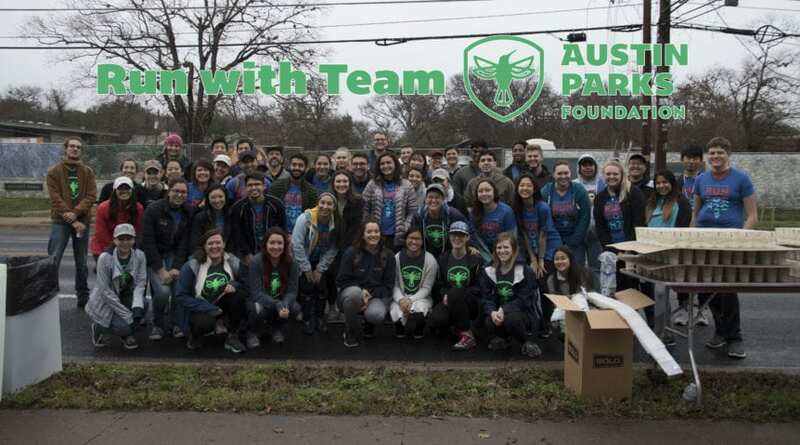 APF is proud to have been selected again as an official charity partner of the 2019 Austin Marathon! That means we need people like YOU to run with us and help us cross our fundraising finish line. Our goal is $10,000 and we hope you’ll join us in supporting our parks, trails and green spaces. Whether you join us for the full or half marathon or the charity 5K, you’ll be helping us bring great parks to every Austinite! The Austin Marathon uses CrowdRise to help supporters like you raise funds for your favorite causes (like us!). Registration is fairly simple. All you’ll need to do is register through the CrowdRise platform and you’re all set. Visit the Austin Gives Miles CrowdRise page here. Click on “Set Up Your Fundraiser” in the top right corner. Search for or select Austin Parks Foundation. Create a username and password or simply login using Facebook. After logging in, hit the orange “Join the Team” button. Now you’re all set! You can set an individual dollar goal for yourself, no minimum requirement, then copy and paste your profile url and share with your friends to start raising funds for team APF! To join our team, make sure you select “Austin Parks Foundation” during the Join a Team step of registration (pictured above)! You can do this regardless of which leg you sign up for. When you join Team APF as a fundraiser, you will get access to updates and deals on other community runs leading up to the race. Beyond that, fundraising with us helps spread the word about why you’re passionate about parks and our work. Your efforts will go towards preserving Austin’s green spaces for generations to come. Join Team APF and start recruiting your friends and family to your fundraising page today! APF needs volunteers each year to help refresh runners at our aid station. All volunteers must register through the marathon’s volunteer management portal, and will receive both an APF and marathon t-shirt! We’re at Mile 11, and will need between 50 and 100 volunteers, so spread the word!